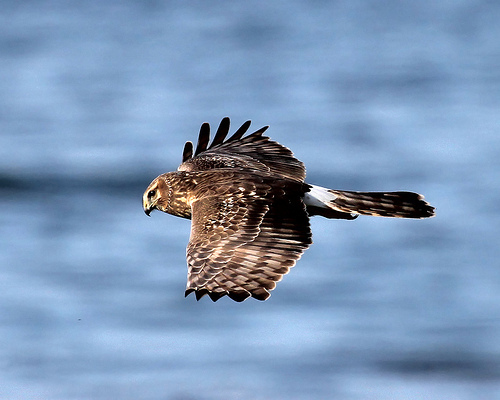 The Hen Harrier is a slender and beautiful bird of prey. The male is blue-grey and the female brown and both have the characteristic white rump. They have long, narrow wings, and a long, narrow tail. 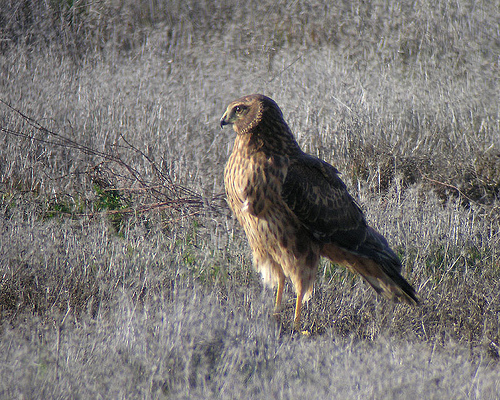 The female Hen Harrier has a white rump.